Whether it's a home "want" or "need," you'll find it at this year's 22nd Annual Midwest Home Show. 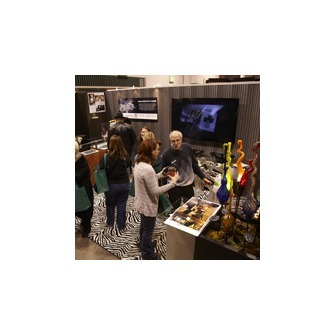 With 200+ of the Twin Cities' best remodelers, landscapers, designers, retailers, and home improvement specialists, this year's show is a one-stop-shop for all of your home improvement needs. The Midwest Home Show will feature exhibitors with an array of specialties, ranging from eco-friendly home solutions to interior design, home storage to landscaping, and a full lineup of kitchen and bath remodelers to help with even the most overwhelming home projects. Shop ‘til you drop and revitalize your home for the winter season. A unique Winter Market Gallery will showcase the work of talented artisans. Jumpstart your holiday shopping at our new Gatherings by Midwest Home booth, anchored by Goodthings. Don't forget, the Vikings have the weekend off! So, find ways to tackle your indoor and outdoor home projects, and save time and money, at the region's largest fall home and landscape show, the Midwest Home Show.